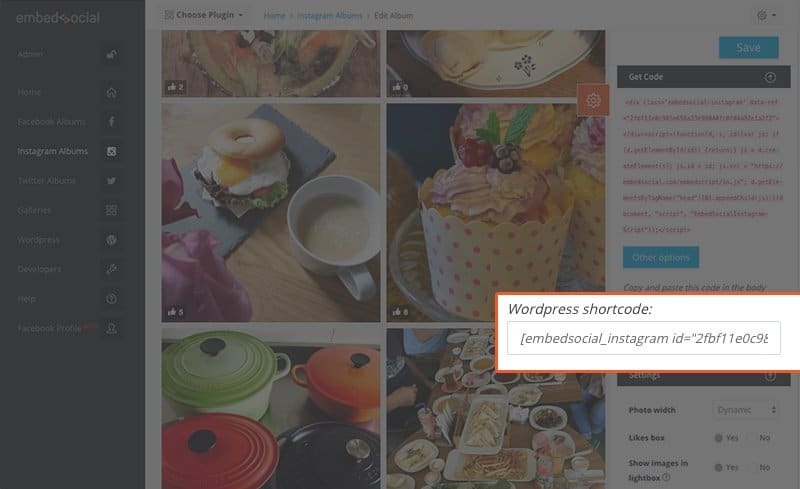 You can use EmbedAlbum for WordPress and display your social media photos with simple shortcodes. To do this first download and install the official EmbedSocial WordPress Plugin. Please note that the same plugin works for any product in the EmbedSocial platform and if you upgrade to other products you do not need to install other WordPress plugins. After you install and activate the EmbedSocial WordPress plugin, you need to log into your EmbedAlbum account. You can use the same steps to create Instagram and Twitter albums. Just navigate to the Instagram albums or Twitter albums section and follow the same steps.